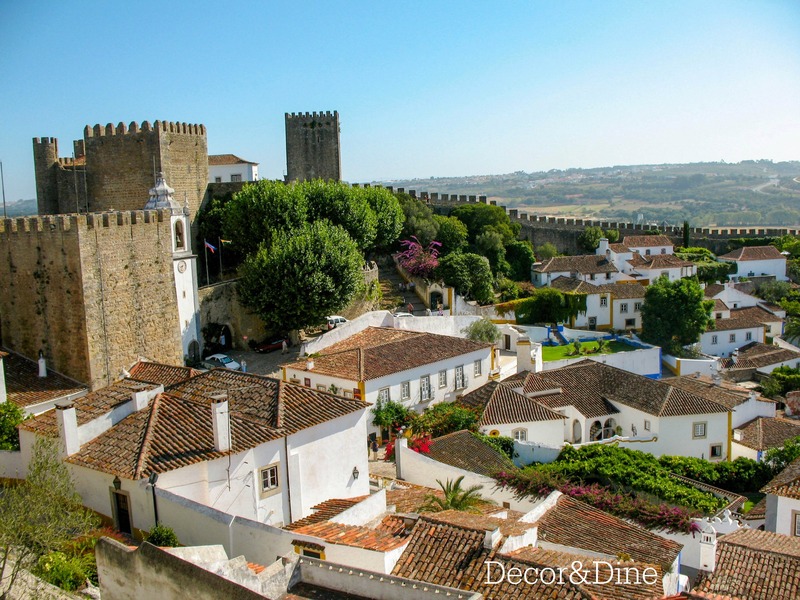 Located about 80 km north of Lisbon, Obidos is a picturesque and well preserved medieval town in Portugal. 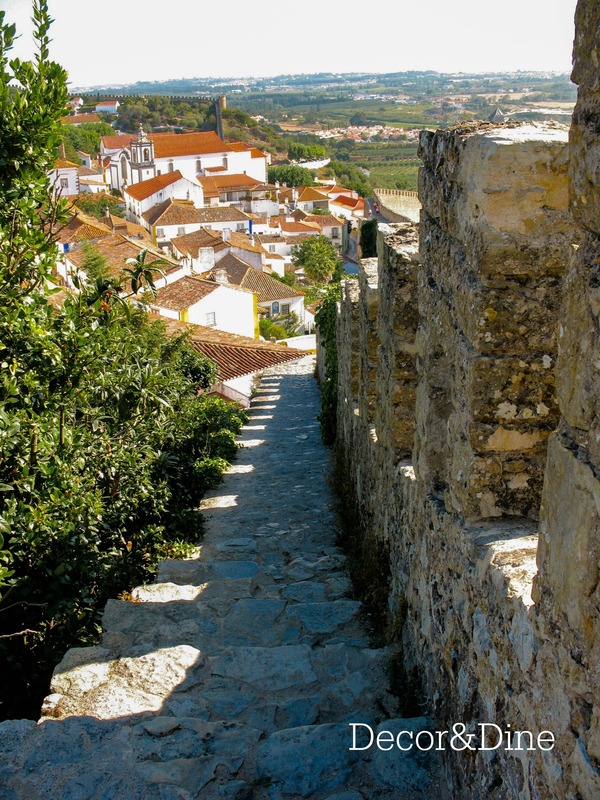 The town centre is filled with cobbled streets, traditional painted houses, and encircled by a historic city wall. 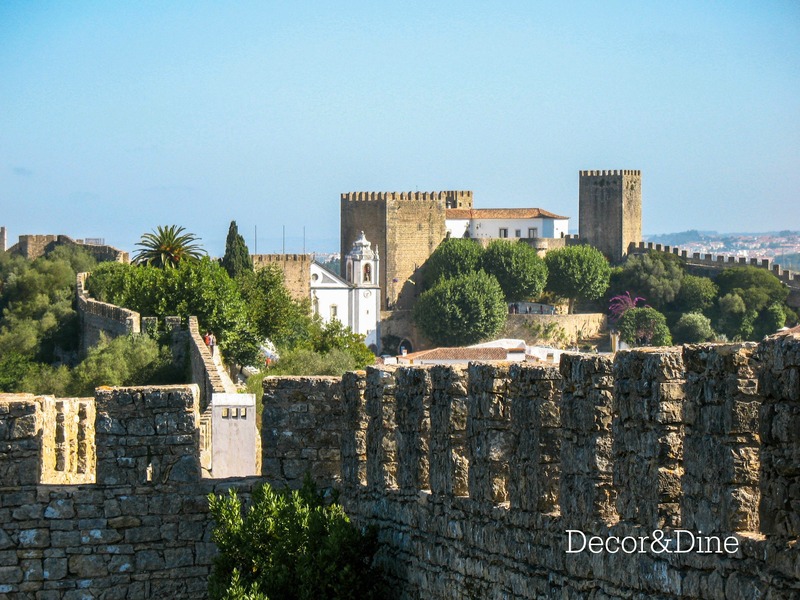 The walls of Obidos completely surround the town. It is possible to walk the walls entire perimeter. From the walls you can see breathtaking views of terracotta roofs, white painted houses and long distance vineyards. The entire walk takes about an hour but caution is required due to old worn down cobbled stones and no safety rails. So ladies…NO HEALS PLEASE! Within the wall is a well-preserved castle that has been converted into a hotel. The castle dates from the 12th century and can be used as a romantic getaway. 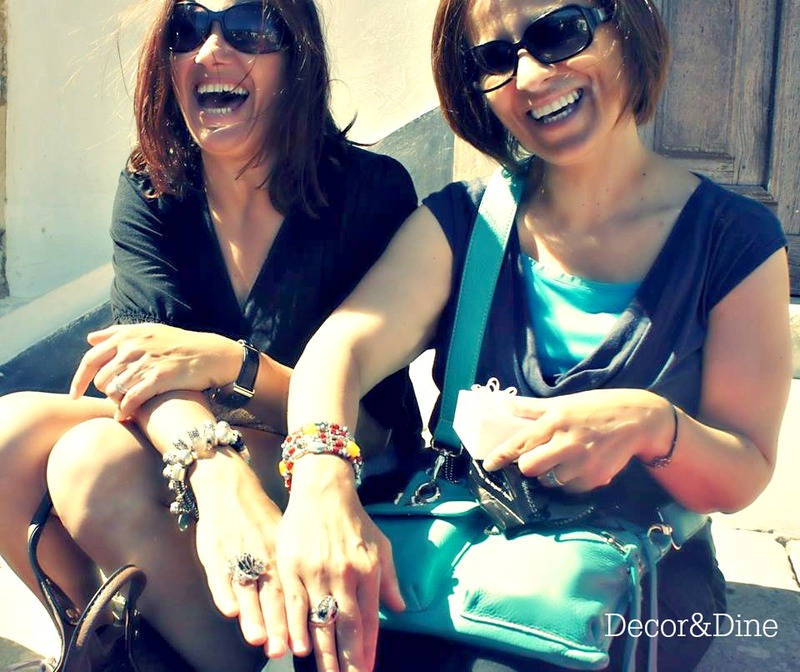 A night’s stay is a must to experience the many traditional shops, restaurants and bars. 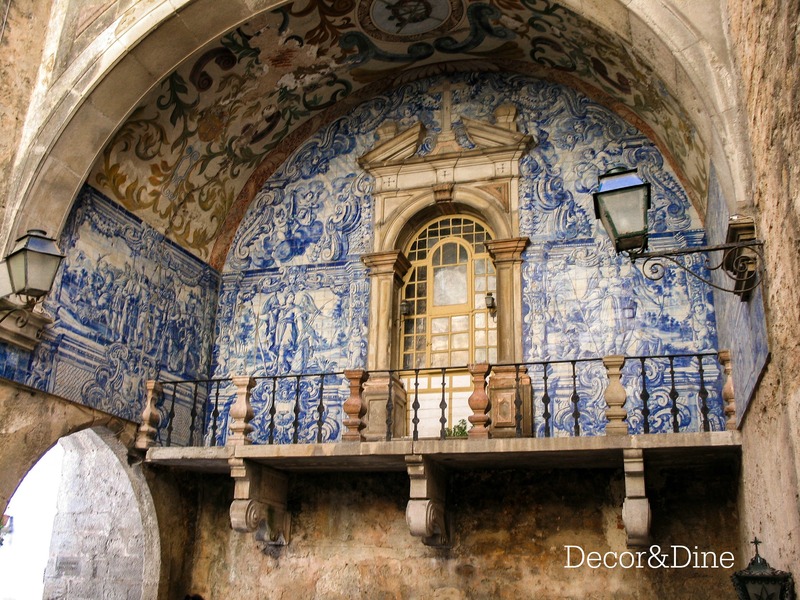 The beautiful Porta da Vila, the main gate into Obidos, is decorated by traditional blue and white 18th century glazed tiles (azulejos) which depict the Passion of Christ, with the ceiling displaying the crown of thorns. 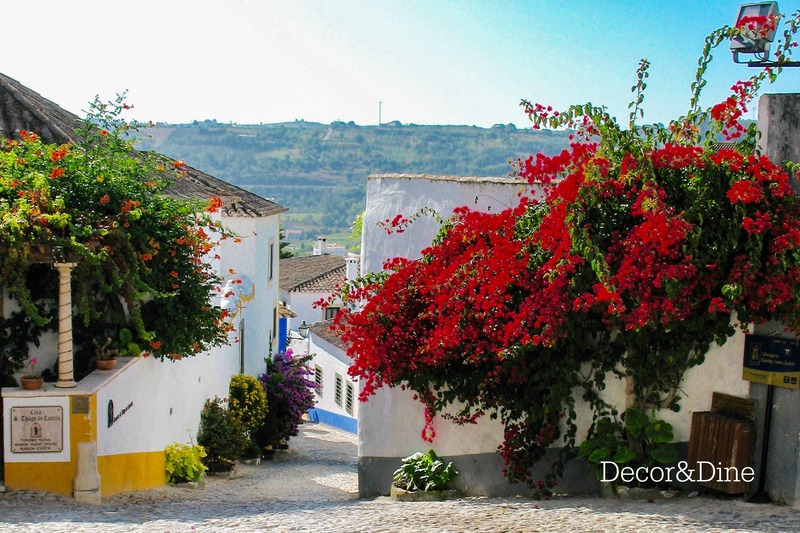 The region is known for it’s cherry liqueur, simply known as Ginja de Obidos. This sweet tasting drink is produced by infusing Morella cherries in Aguardiente (brandy). It can be served on it’s own or in a chocolate cup. Simply decadent! 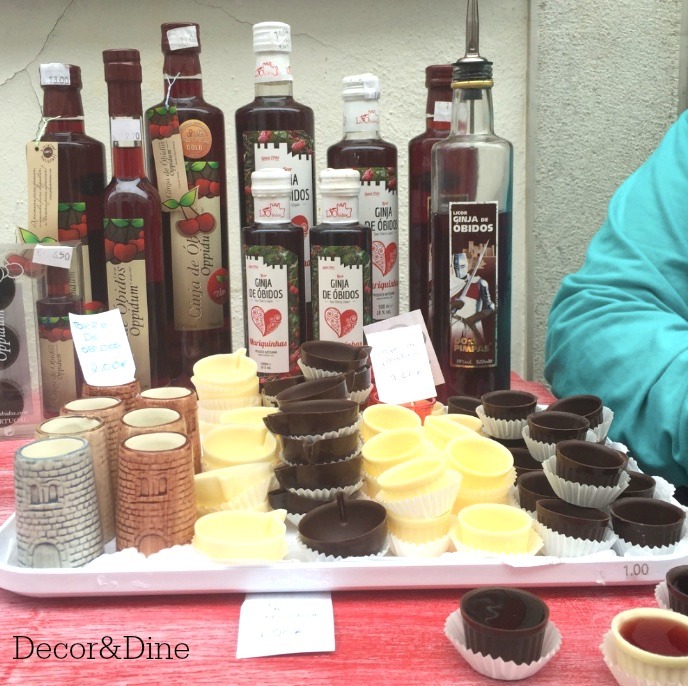 The chocolate festival runs 12 days and attracts artisan chocolatiers from around the world. There are special competitions including “Chocolatier of the Year” and the “International Competition of Chocolate Recipes”. This event is made for the whole family! Take it from us…we’ve been there! Thank so much Jennifer! It is a beautiful little town. One of my favourite places in Portugal.